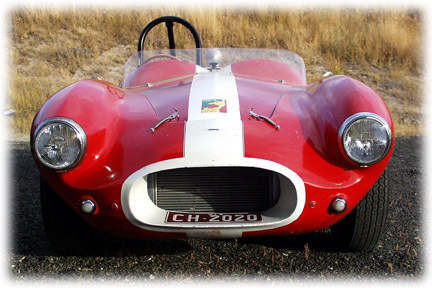 The car was built by Athol Hodge in Numurkah at the end of 1959 . It was first raced by Gordon Carruthers for Hodge Motors at Tatura racetrack. 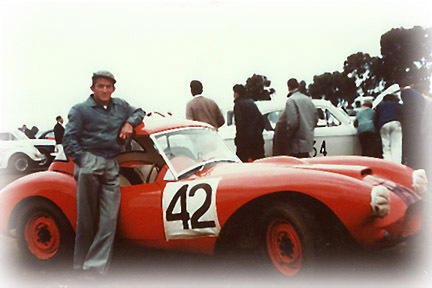 It was purchased by John Reaburn in April 1960 and raced successfully until the end of 1963 when John went overseas and left the car for his father to sell. Sold in 1965 to Roger Godfrey of Moe. The car then passed to Charlie Rose in Trafalgar around 1969. He kept it until 1972. It reappeared at Sandown Auto wreckers who owned it until June 1973 when Steve Miller purchased it. After ten years Terry Healy of Brunswick became the next custodian from August 1983 until September. Greg Smith kept it from September 1983 through November 1984. David Doubtfire, prominent member of the VHRR, took the car over and began restoring it to its original specification as John Reaburn raced the car. Both John Reaburn and Athol Hodge inspected the car and confirmed its authenticity. David applied to CAMS and was granted a Class Lb Logbook in 1987 which the car still retains. He eventually sold the car to Mark Minnarelli of South Australia in 1989. Richard Bowen then found the car advertised at Collectable Classics, who brokered the car on behalf of Mark. Richard returned it to Victoria in 1995. Since January 1997 the car has been part of the Kangaroo Stable and has been brought up to current safety standards with side intrusion beams, roll hoop, cut off switch and fire retardant system. All work completed to maintain compliance with CAMS Lb category rules in Australian historic racing. The car now races in historic events on the west coast of America but will return to Australia in the next few years. Last edited by Buchanan Holden; 05-01-2009 at 08:52 AM. All times are GMT +11. The time now is 03:56 AM.